I'm guessing it is slow mainly because of the queue size counts. Suggestion: The drop-down can be static and open immediately without the queue sizes visible. Once the drop-down is visible, the queue sizes can be loaded from server. This will allow clicking on a queues faster. 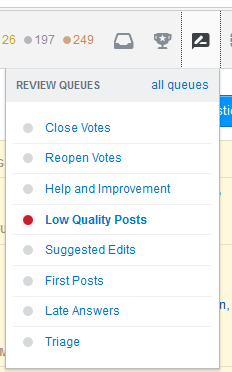 Related: Review queues drop down list - review types are ordered by what logic? 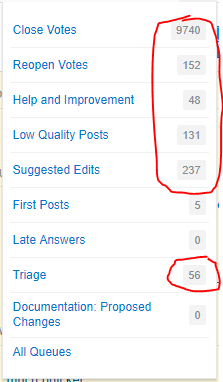 What benefit do we have by seeing those numbers? Other queues that become empty from time to time, there's more value in knowing there's something in the queue. Generating that boolean state should be far more efficient than actually getting the numbers. Not the answer you're looking for? 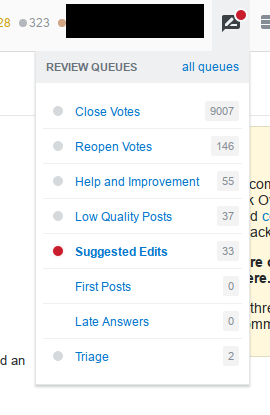 Browse other questions tagged feature-request review top-bar usability . 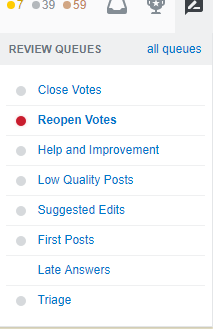 Review queues drop down list - review types are ordered by what logic?